We want to hear from you. 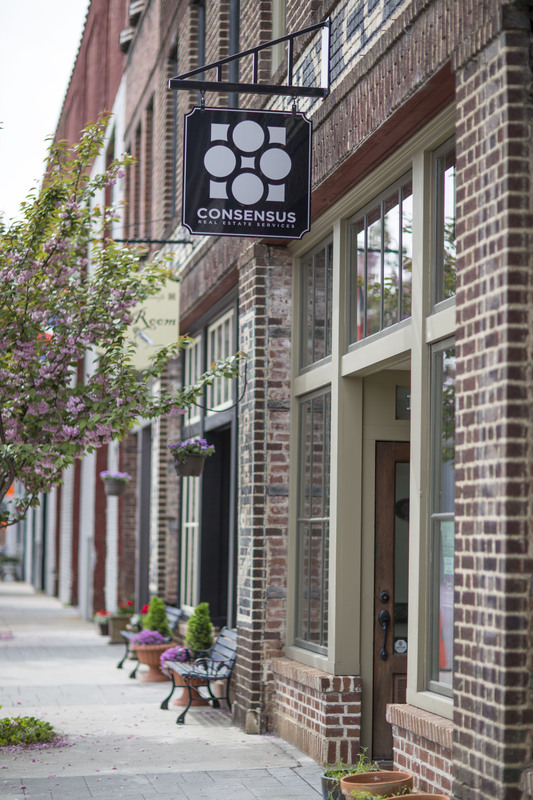 Consensus Real Estate is ready to assist you in all of your residential and commercial leasing needs. Dodd Harvey has been a certified residential real estate appraiser in the Commonwealth of Virginia since 1991. He is accredited by the National Association of Realtors as a Residential Accredited Appraiser (RAA). Dodd has also been a licensed real estate salesperson in the Commonwealth of Virginia since 1986. Dodd has been a Partner of Consensus Real Estate Services, LLC since 2001 and specializes in all phases of the real estate profession including residential, farm and land appraisals; commercial, industrial, and residential brokerage; and analyses, counseling and qualified expert witness regarding real estate matters. His clients include various lending institutions, local attorneys, Habitat for Humanity, Lynchburg Redevelopment and Housing Authority, accountants, and individuals. Don is a native of Amherst County, VA and received a Bachelor of Architectural History degree from the University of Virginia in 1977 and a Master’s degree in Public Administration from Virginia Commonwealth University in 1982. After living in Washington, DC, Atlanta, Richmond and Denver, Don returned to Lynchburg in 1987 and has developed a regional real estate brokerage, appraisal and consultancy practice with particular emphasis on urban redevelopment, historic preservation and land conservation. Don’s clients include most many local government organizations, institutions, other professionals, major lenders and private investors. Don is a certified general real estate appraiser in the Commonwealth of Virginia and the Principal Broker for Consensus Real Estate Services. He is a member of the Dean’s Forum of the University of Virginia School of Architecture and is Past Chairman of the Lynchburg Historic Preservation Commission and the Citizen’s Advisory Board of the Lynchburg Museum System and he has served on numerous other local non-profit boards including, Lynch’s Landing, the Lynchburg Historical Foundation and Riverviews Artspace. John has been working in the Lynchburg real estate market since 2000 as not only a real estate agent, but also as a certified residential appraiser. This has truly helped him serve his clients well, whether they are looking to buy their dream home, starter home, or their next investment property. He has also enjoyed the investing side of real estate over the years, whether it be as rentals or renovating and selling homes. He tends to learn things the hard way and these "learning experiences" have help me help his clients avoid some of the pitfalls that he found himself in from time to time. He is originally from Ohio and moved to Lynchburg to attend Liberty University where he studied sports medicine. He fell in love with the south with his first sip of sweet tea and absolutely loves this area! He served as a US Marine for 6 years and is the proud dad of two awesome little boys, who aren't so little anymore. Resident & practicing physician in Lynchburg, VA since 1982. Downtown Lynchburg resident & property owner. Board Member in past years: Academy Center of the Arts; Endstation Theatre Company. Avid golfer & pickleball player. New to the property management division, Sophia is originally a teacher of 16 years in both private and public schools. She has a Bachelor of Arts in education from Virginia Tech, and a Master’s in school counseling from Lynchburg College. Sophia currently serves on the board of directors for Meals on Wheels, and is an active driver for the organization. She and her husband Dodd, have two daughters. Beverley Laughon is not only a realtor for Consensus Real Estate, but also a small business owner in interior design. As a native of Lynchburg, she graduated from E.C. Glass High school and then received her Bachelors degree from James Madison University. Beverley has been serving Lynchburg and the surrounding areas for the past 11 years. In that time she has consistently shown the ability to satisfy clients in the buying and selling of their homes. Her loyal clientele, personal referrals and repeat business have formed the foundation of her real estate and design career. With her design expertise, she not only has the ability to envision the possibilities of a home, which helps buyers see its full potential, but she can also advise on successful staging, which is key to selling a home quickly and at the best price! Her knowledge, enthusiasm, and dedication to providing personal and confidential service makes her an exceptional realtor. Elisa Morton comes to us from the fitness arena. As a member of our Property Management division, Elisa is able to bring the skills she honed as a coach, fitness instructor and manager, to helping people find an apartment that fits their needs as well as their budget. Terri is a licensed real estate salesperson and is training to become a General Appraiser. She has a background in economic development having served for seven years as Executive Director for Lynchburg’s successful downtown revitalization program. Terri specializes in the listing and sale of downtown properties and was on the development team that created the successful James River Place Condominiums on Lynchburg’s riverfront. With an understanding of the incentive programs in place to support redevelopment of downtown’s historic buildings and a decade of experience in marketing downtown properties, call Terri to learn how you can be part of this exciting and growing market. Terri has a B.A. in Business Management from North Carolina Wesleyan College and has been a resident of Lynchburg since 2000. Anita Talbert is a licensed real estate salesperson and a graduate of Liberty University with a degree in Business Administration and a minor in Psychology.